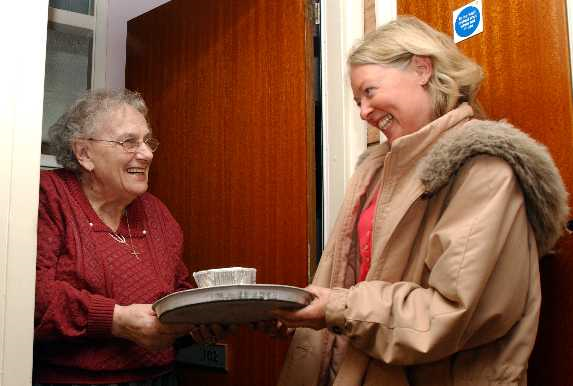 Delivering meals to older people or sick people can be very satisfying. Even if you can only deliver meals one day every two weeks, it would be very helpful. An honorarium is paid toward your mileage costs. To volunteer, please fill out our Contact Form or call us at the number above. 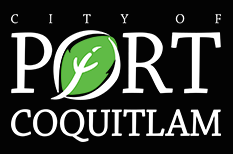 POCOMO Meals on Wheels is a service providing home delivery of nutritional meals throughout the Tri-City area using a network of volunteer drivers to the residents of Coquitlam, Port Coquitlam and Port Moody who are unable to shop, prepare or cook meals for themselves. A means for meal recipients to retain independence. Social contacts for meal recipients living alone. Security in knowing that a friendly volunteer will check on their well being on delivery days and respond quickly if an emergency arises. Short term nutritional help for convalescents. Ongoing meal assistance for the chronically ill.
You can arrange for this service yourself, or through referrals from family, friends, doctors, health and social agencies. Meals are planned and prepared fresh daily, by local dietary staff, to a standard approved by the local health agency. All meals are delivered hot in special containers designed for Meals on Wheels and served in disposable dishes. Each meal consists of soup and crackers, a main portion of either meat or poultry, potatoes, pasta or rice, a vegetable, dessert and juice. Special diets include: diabetic, low cholesterol and minced but individual likes and dislikes cannot be taken into consideration. Meals are picked up and delivered by a group of dedicated volunteers and delivered between 11.00 a.m. and 1.30 p.m. Monday to Friday. No deliveries are made on Saturday, Sunday or statutory holidays. Frozen meals to accommodate weekends and holidays can be arranged. Meals may be cancelled by calling 604-942-7506 before 10:00am the day before. Cancellations for Monday must be made before 10:00am on Friday. Clients will be billed for meals not cancelled. The cost is $5.75 for each meal and accounts are due monthly. Payment may be made by cash or cheque to the volunteer collector, by bank e-transfer, or on receipt of a requested invoice. Some veterans may qualify for funding from Veterans Affairs Canada. Applications for this funding must be made by the recipient or family. In accordance with the B.C. Personal Information Protection Act, delivery of meals is dependant upon the personal information you provide, which will remain in our records. This information is only available to the volunteers who have successfully completed a personal security check. POCOMO Meals on Wheels Society is a non profit, volunteer organization and donations will be gratefully received. and individual donations from clients and volunteers.